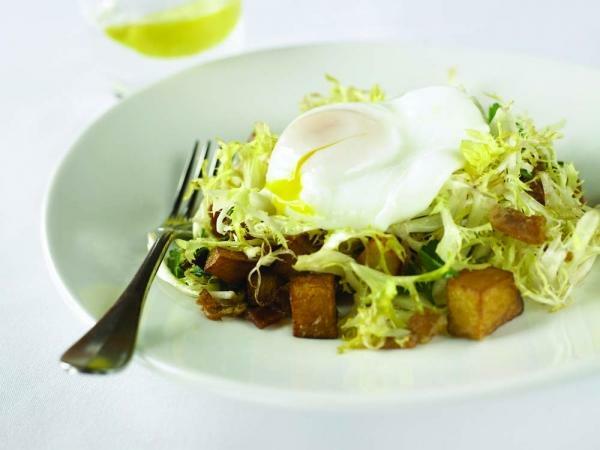 This Salad Lyonnaise recipe comes to us from Chef Josh Silvers, formerly of beloved restaurant Syrah and now chef/owner of Jackson’s Bar and Oven in Santa Rosa, California. He shares it from the cookbook Down Home Downtown: Seasonal Recipes from Two Sonoma Wine Country Restaurants. 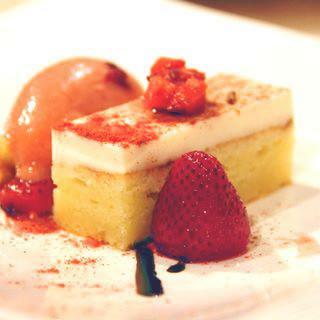 We love the simplicity with which Josh puts together this classic, French dish. We think you’re going to love it, too. And you’ll especially love how easy it is to recreate at home. 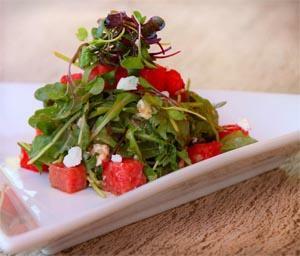 If you don’t think a salad can be aphrodisiac, you need to try this dish. 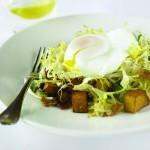 For starters, Salad Lyonnaise is a dish traditionally topped with a slippery, silken poached egg. Should you have any doubts about this ingredient’s aphrodisiac appeal, here’s more about the aphrodisiac history of eggs. Then there’s the bacon. You can argue that the crunch of salty bacon lacks scientific proof of its aphrodisiac appeal. But we’ve amassed enough anecdotal evidence to believe. A study in contrasts, the two very different flavors and textures of crisp bacon and poached eggs get treated to a bed of feathery frisee, crisp potatoes and an emulsification of smoky bacon fat and tangy Dijon. So even if you’re not willing to buy into the aphrodisiac properties of this Salad Lyonnaise, you know what? You’re still going to find it irresistible! 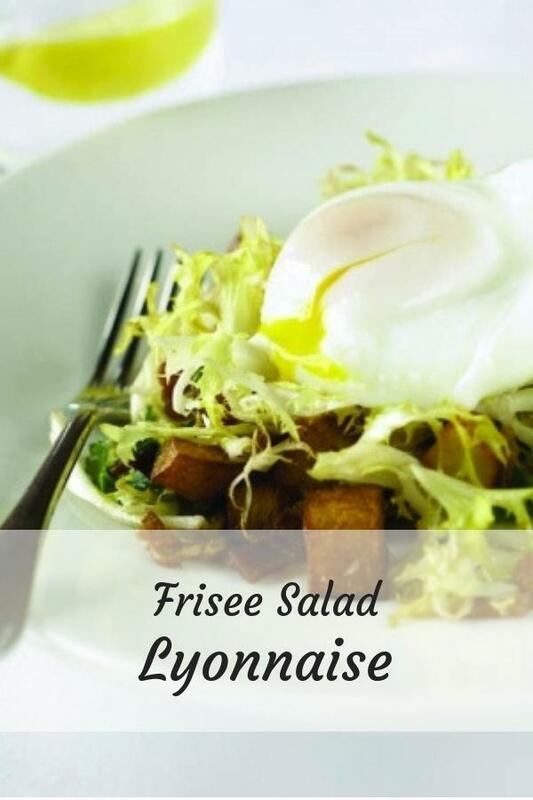 This rendition of a French classic salad combines the undeniable sensuality of a soft egg yolk with bitter frisee and the salty bite of bacon. In a medium skillet, saute the lardons over medium heat until crisp and brown, 8 to 10 minutes. Drain the fat from the pan into a glass measuring cup and reserve. Using a slotted spoon, transfer the lardons to paper towels to drain. Add the olive oil, potatoes and the shallots to the hot pan and saute until tender, 6 to 8 minutes. Add olive oil to the reserved bacon fat if necessary to make 1/3 cup. In a small bowl, combine the bacon fat, sherry vinegar, brown sugar, garlic, mustard and 3 grinds of pepper. Whisk until well combined. In a deep saute pan over medium heat, bring 2 inches of water to a simmer. Add the cream of tartar and stir to dissolve. Break each egg into a small bowl and gently slide the eggs, one at a time, into the simmering water. Poach until the whites are firm but the yolks are still runny, 5 to 7 minutes. 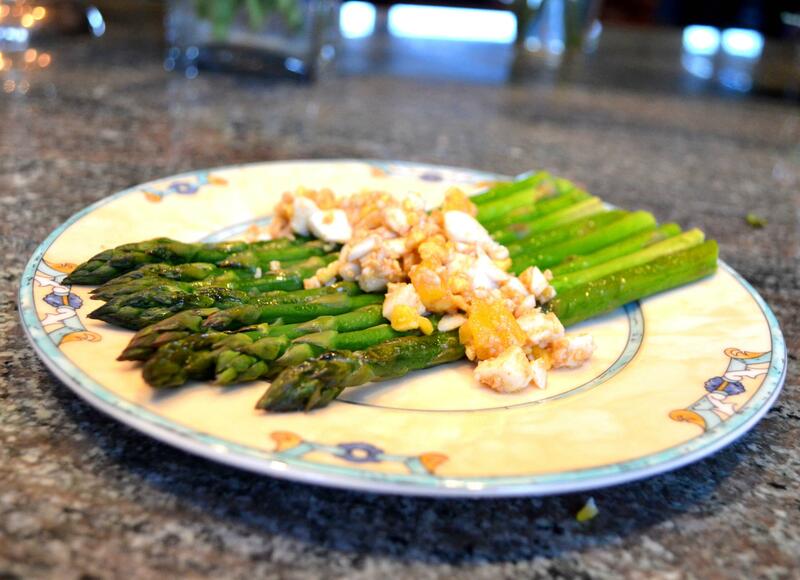 Using a slotted spoon, transfer the eggs to a plate. In a large bowl, toss the frisee with the vinaigrette. Add the lardons, potatoes, shallots and parsley. Toss again and divide among 4 serving plates. 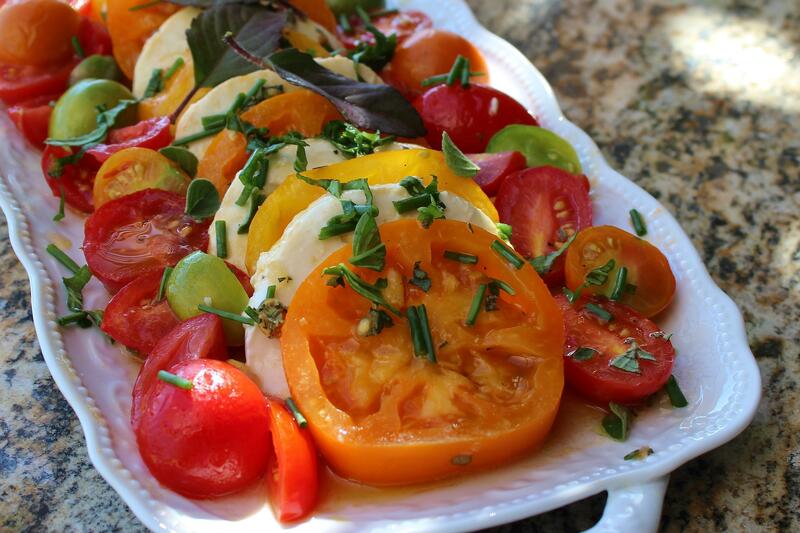 Top each with a poached egg and serve.